Choose someone you trust to step in for you. There are lots of scenarios in life where a person possessing property, bank accounts, etc. might not be in the position to perform his obligations due to numerous reasons like being overseas, sick, old etc. In such circumstances in the event some transaction needs the existence of the person who is unable to be present individually, then the only way is to give the authority to someone else to act on behalf of the person. It is extremely common today to give a trustworthy man the authority to undertake transactions on your behalf. In simple terms, Power of Attorney means the authority to act for another person in specified or all legal or financial matters. A general power of attorney gives broad powers to a person or organization (known as attorney-in-fact) to act in your behalf. General power of attorney is an effective tool if you will be out of the country and need someone to handle certain matters, or when you are physically or mentally incapable of managing your affairs. Special Power of Attorney means when you want to get any particular or specific act done and you are not in a position to do it yourself due to reasons like being abroad, or travelling etc, you require the help of someone close to you to do it. 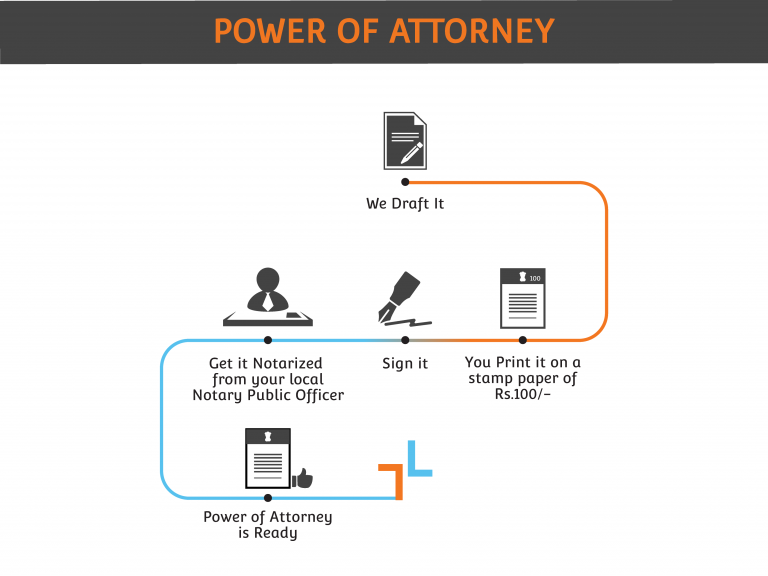 When can you use Power of Attorney form? You are approaching old age and would like to designate a representative for yourself. Who can be appointed as an Agent (a person to whom power is given)? Any person whom you trust and believe that will be able to carry out the authorized work properly. who is disqualified by the eyes of law. When can you Revoke or cancel Power of Attorney? Power of Attorney can be cancelled whenever you wish to or when the purpose for which power of attorney is created is over.